This new tour of Ayres Adventures covers the “wild north” of Japan: in a land famous for crowds, Hokkaido remains one of the few places where roads disappear into the horizon, forests are full-sized and the view from a pull-out makes you feel more like in the American west than diminutive Japan. Nevertheless you find everything from larger cities with exciting nightlife to luxurious hot springs perfectly designed to lean back and relax. 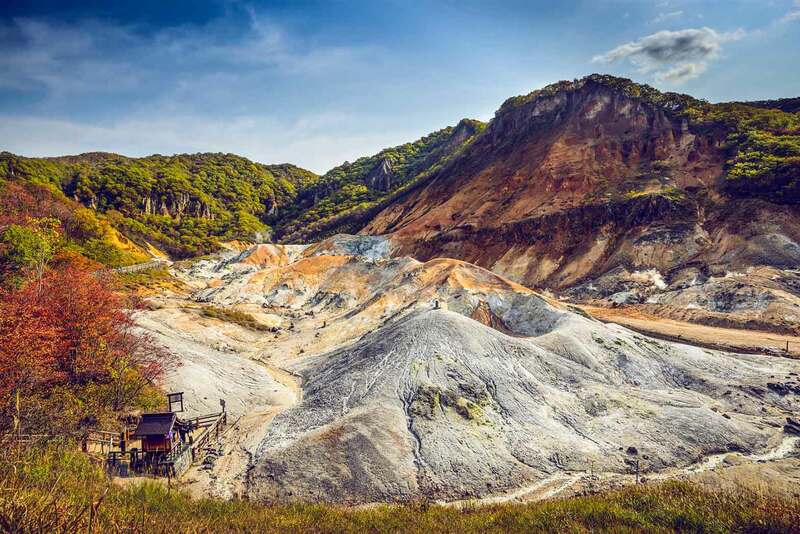 The tour covers all the major cities of Hokkaido and the attractive itinerary leads you to most of the major sights and points of interest – riding on roads that are made for motorcycles! 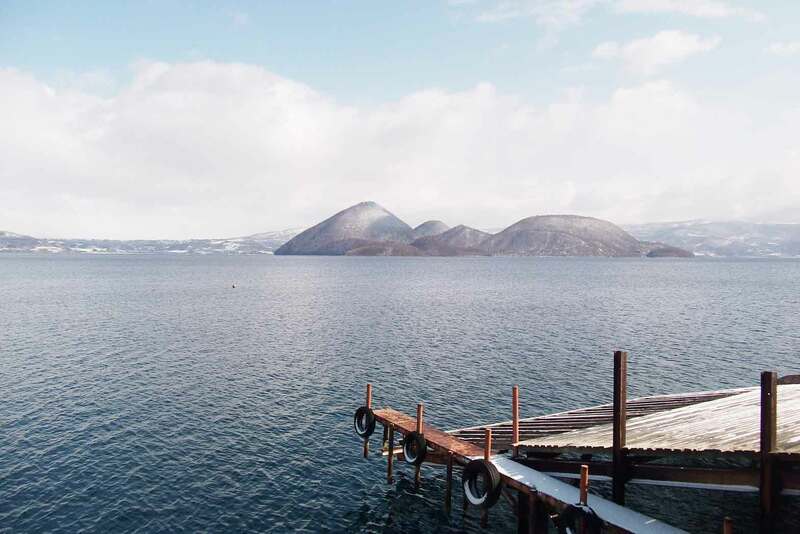 Hokkaido has many differences from Japan’s main island Honshu – nature is way more abundant and you will sometimes notice an almost European atmosphere. 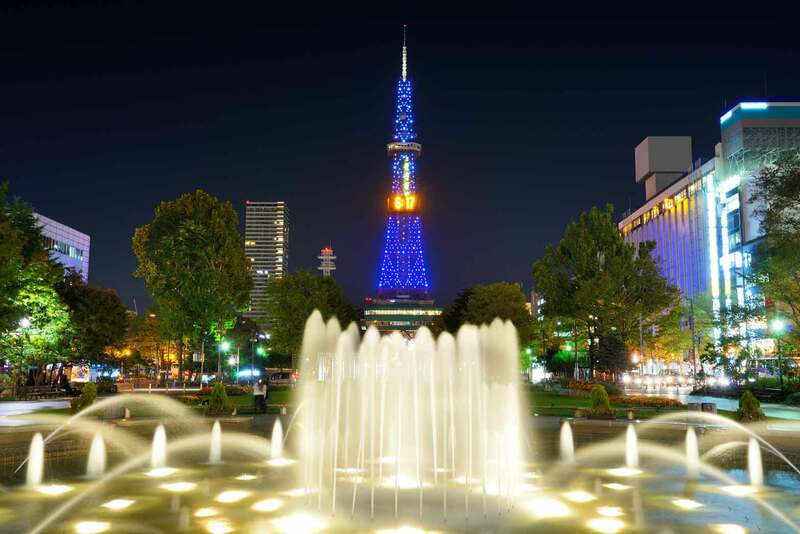 Hokkaido is on the same latitude as Munich, Germany – spring and fall are very colorful and attract many visitors. The hotels on this trip are 4 or 5 star quality and offer a mixture between western and Japanese style rooms. Our support van driver will take care of your luggage and make sure that it arrives in time in our next hotel. As a local, he will also serve as interpreter and help the tour leader to make you familiar with the “Japanese way of life”. Welcome to the island of Hokkaido! After your arrival at the New Chitose Airport east of Sapporo, we will shuttle you to our base hotel in town. 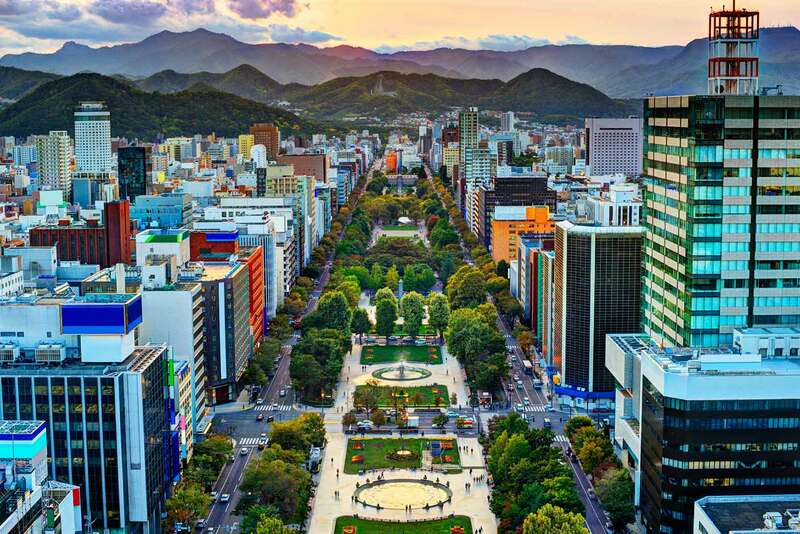 Relax and enjoy some of the sights of the 5th biggest city of Japan. We will meet in the late afternoon for the motorcycle handover and welcome briefing; in the evening we’ll have our kick-off dinner – Japanese style of course! On our first riding day we will head north, mostly following the coastline. Passing by the small cities of Ishikari and Rumoi (the latter being developed by herring fishery and mining) we come by numerous beaches. With the Sea of Japan always on our left side we approach Wakkanai, Japan’s most northern mainland city and spend the night only about 24 miles away from Sakhalin, Russia’s biggest island! Shortly after takeoff we visit Cape Soya (Soya-misaki), Japan’s northernmost point and then turn south, again following the scenic coastline. Now the Sea of Okhotsk is on our left side and for lunch we stop in the region of Monbetsu, which reputedly has the best crabs in Japan! Turning inland, we ride on a twisty road between mountains up to almost 6000 ft high. The village of Sounkyo, located in the mountainous Taisetsuzan National Park is our destination, where we will spend 2 nights. Taisetsuzan is Hokkaido’s biggest and most beautiful National Park around 2290m high Mt. Asahidake. The region is also famous for “ramen”, a special kind of Japanese noodles. A wonderful mountain road across two passes leads us via Kitami and Abashiri (Japan’s version of Alcatraz) east back to the coast again. Now we are in the Japan’s “sunshine region”! From here it’s a short ride to the small town of Shari, where our hotel is located. Lean back in our hotel’s “onsen” and enjoy the ocean view! A ride through “land’s end” Shiretoko National Park (home to about 600 brown bears) and across the Shiretoko Pass wait for us in the morning, before we turn south again and make an excursion to Japan’s easternmost part, the Nemuro peninsula, passing by Lake Fu-ren with its brackish water, sand dunes and marsh lands. From Cape Nossapu, covered with primeval forest and flowers, we can look towards some (currently) Russian islands. Today’s destination Kushiro lies at the southernmost tip of Kushiro Shitsugen National Park, Japan’s largest expanse of undeveloped marshland, nearly the size of Tokyo. Sunsets are spectacular here! An early start is helpful for the beautiful ride today! 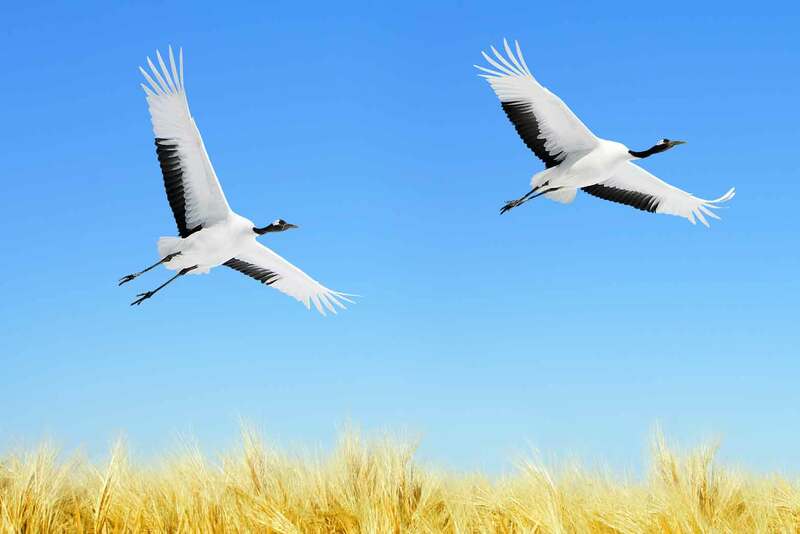 From Kushiro we turn inland riding along the wetlands and passing by the village of Tsurui (famous for its Japanese cranes) and beautiful Lake Akan. 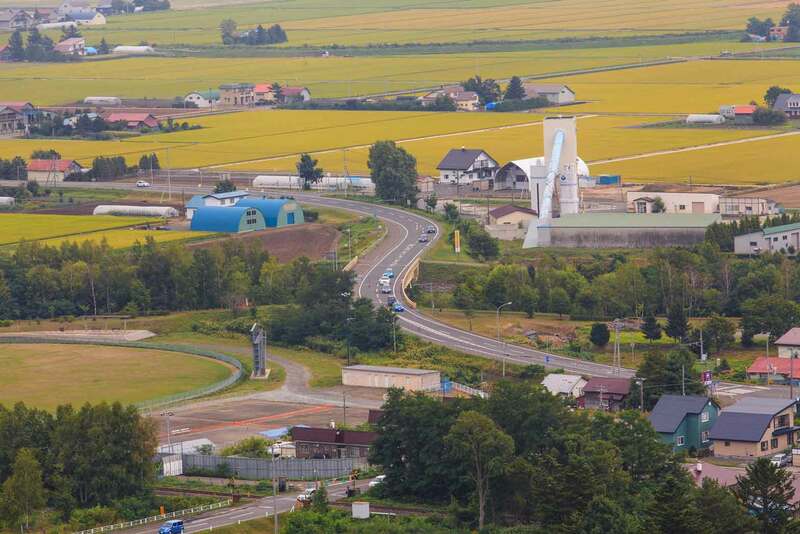 Via Obihiro we turn south again and go for the crossing of the 1000 m high Hidaka pass road. In Urakawa we are at the coast again – the region is famous for breeding horses and from the hotel it’s possible to go for a horseback ride. An optional loop in the morning brings us south to misty Cape Erimo. The Pacific ocean produces a rough climate here – the wind blows with the speed of 10 m/s for almost 300 days a year! On our way to Furano we can see peaks of the Hidaka mountain range on our right side, riding through magnificent Hokkaido scenery, dotted with horse ranches. 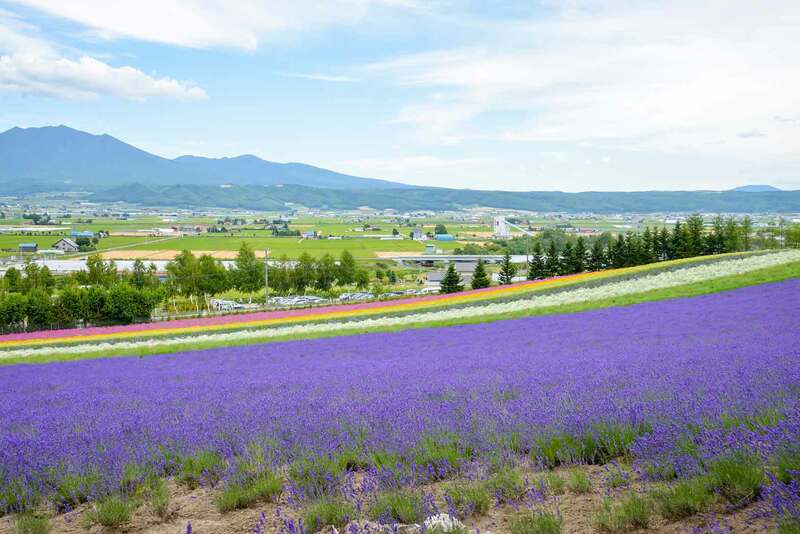 Furano is located at the exact geographic center of Hokkaido, earning it the nickname “Navel Town.” It is famous for its lavender fields, melons, ski slopes and wine! We will ride through some of Hokkaido’s backcountry in the morning, before the Iwamizawa Highway highway brings us around Chitose. 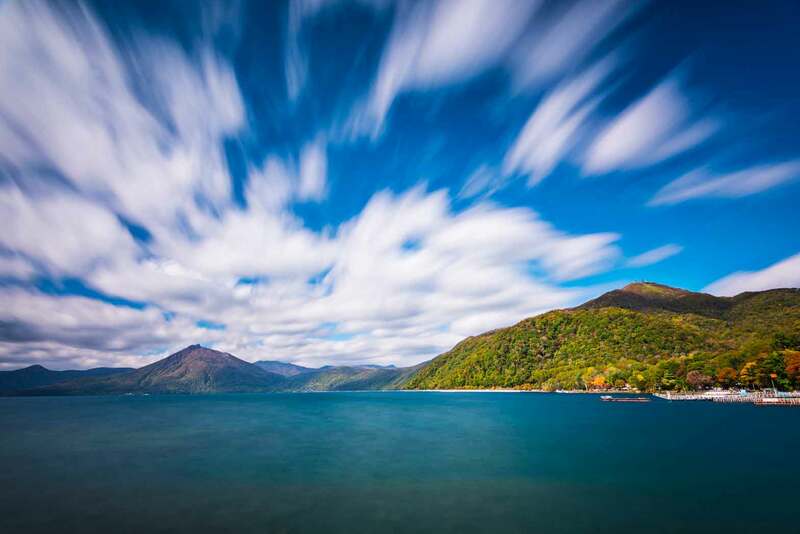 The caldera lake Shikotsu – the second deepest lake of Japan – is famous for its water quality and it’s on our way to another beautiful caldera lake: Lake Toya, our destination today, is perfectly round with 6.2 miles in diameter and its clear water sparkles widely visible. The 2008 G8 Summit was held here at Lake Tōya in our hotel! The shortest connection to our destination today is about 100 miles, mostly along the coast. However, additional loops – like to Cape Misaki – are possible and add another 49 – 62 miles. 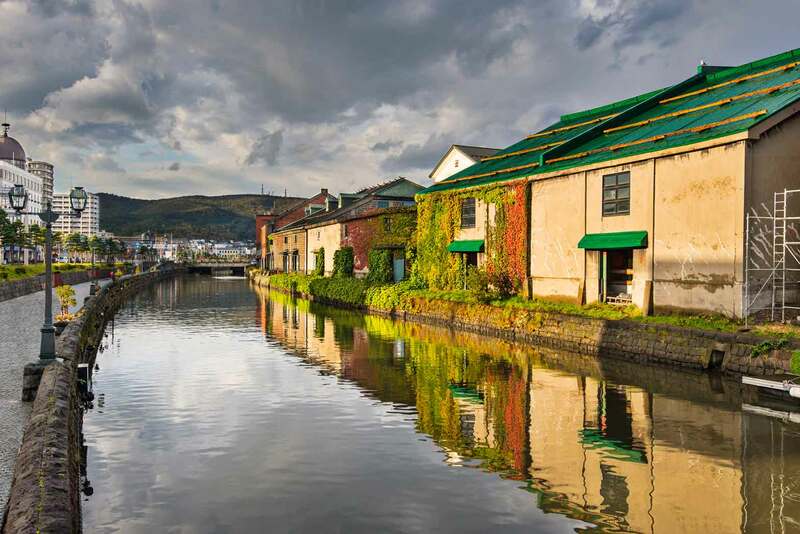 Hakodate, the “gateway” to Hokkaido, is famous for its seafood, scenery and history. Hakodate has an international atmosphere and for the Japanese it is very exotic. Trams are a good way to explore this historic city. The Motomachi district, sprinkled with old buildings and nice bay views is a must-see, just as the night view from Mt. 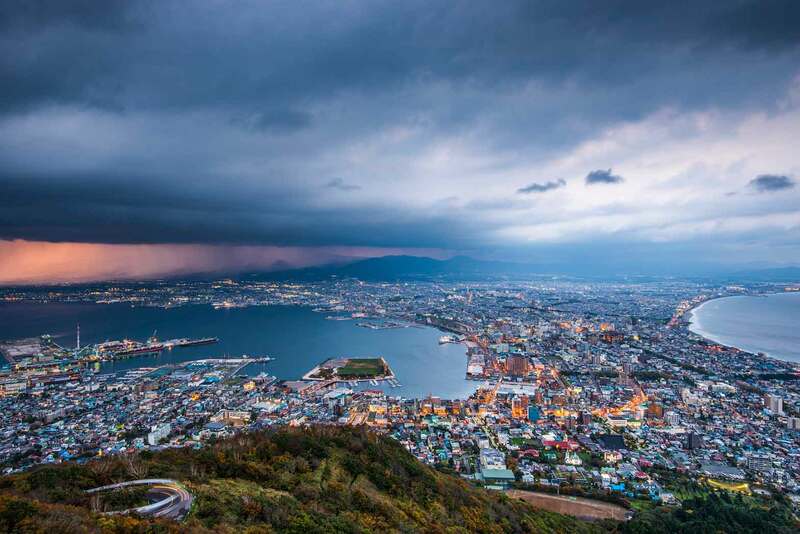 Hakodate, which is one of the best views in Japan. A perfect place to walk around and enjoy the city life! 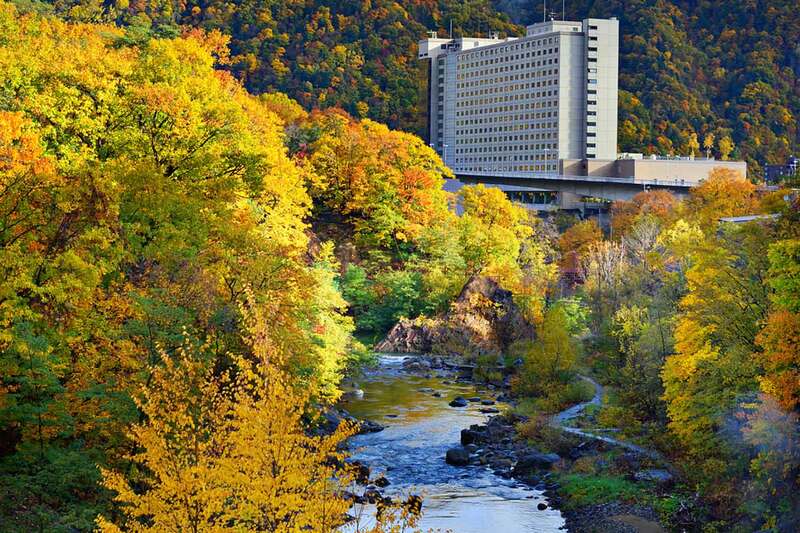 Our hotel here will be 100% Japanese style – it’s time for Yukata, Onsen and local cuisine! Our last day on the motorcycle! 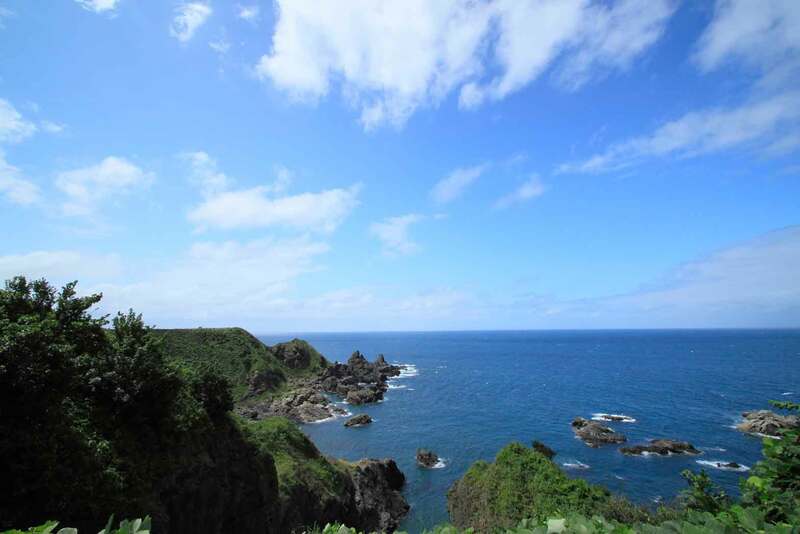 The ride takes us on steep, narrow and twisty roads along Hokkaido’s west coast with plenty of beautiful views towards the Japanese Sea. Shortly before Otaru we ride through Yoichi, the first place in Japan, where Scotch whisky was (and still is) produced! Once we’ve arrived back in Sapporo and returned the motorcycles, we will have our farewell dinner – Japanese style of course! We hope that you enjoyed the tour through Japan’s wild north and you will join us again soon! After breakfast we will shuttle you to the airport – have a nice flight home! Personal motorcycle: deduct $1,800 from the rider price.